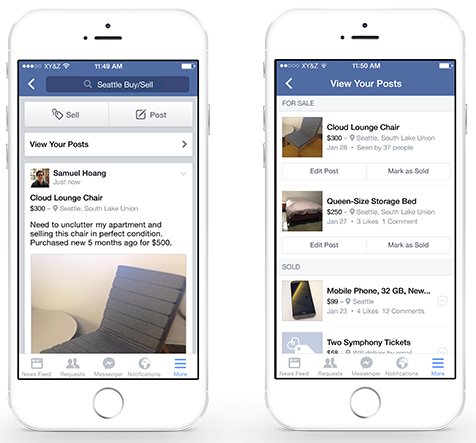 Facebook has unveiled new features for buying and selling on its social network. The update is specifically for the social network’s For Sale Groups feature. This feature is a specific type of Facebook Group that enables members to buy and sell items. With the updates, For Sale Group members can choose the “Sell” feature when creating a post, which enables members to add a description to what they are selling, including a price, as well as set a pick-up/delivery location. Additionally, sellers can mark posts as “available” or “sold” and view their catalog of items previously sold. It is important to note that these new features will be rolling out to all For Sale Groups in the coming months across iOS, Android and the Web. That said, Group admins who would like to participate can nominate their Group now. Facebook notes that it will continue to introduce new features in the coming months to help people in For Sale Groups better connect, browse and search for products.